Back row: Mig, Josefin, Mash, Chessie, Nail, Aubrey, and Ruki. Front row; Anya, Ivan, Doon, Jostler, Jpeg, and baby Pixel. Jostler and Pixel still need faceups. Mig and Pixel are eyeless at the moment, but I still wanted them in there. 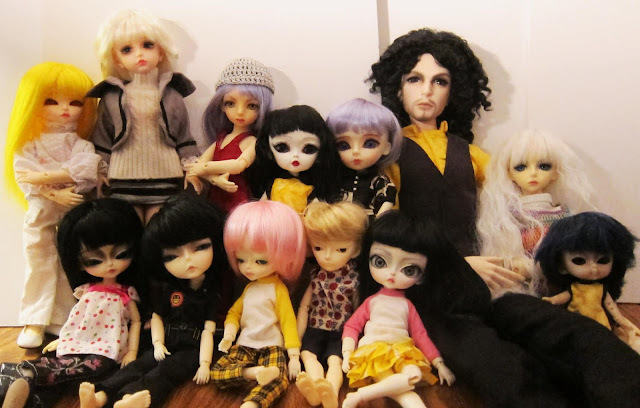 Not a great photo, but I wanted one with all my bjd's in it.